The work is very organic in its use of color, form and shape; I try to keep the work very earthy and natural, drawing heavily on my inspiration of the natural world. I use aerial views of the downs and Sussex, looking at the changing landscape through the seasons. 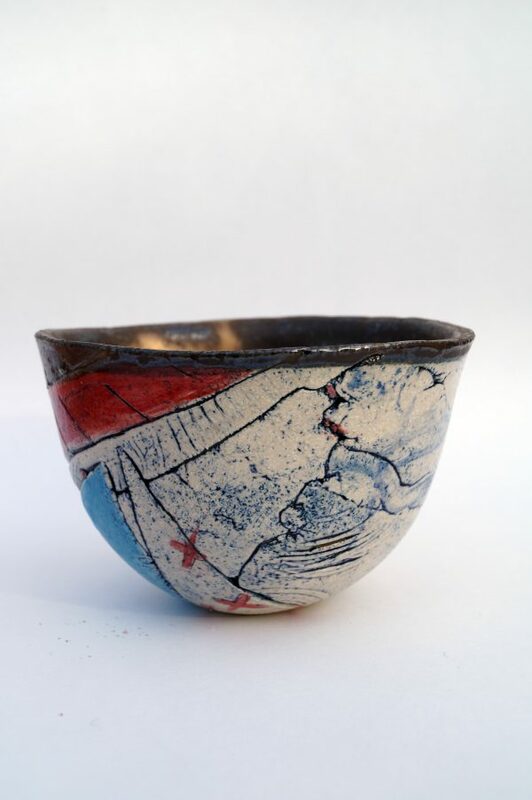 From these images I painting on to the surface of my clay then hand shape each piece made each vessel an individual.